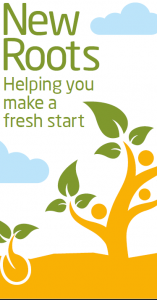 to provide assistance to anyone wanting support and direction before and after leaving prison. The type of assistance will be tailored to meet individual cases.We aim to make the transition back in to the community as smooth as possible. We are currently working closely with the chaplaincy department in HMP Hewell and HMP Stoke Heath. We aim to work with an ex-offender 3 months prior to release and a minimum of 3 months after release. We meet the service users at the gates and walk with them on the journey to success away from crime.